Absolutely DO NOT buy those boots! I ordered them after seeing them on your blog (which I love, BTW), and they don't resemble anything like the picture. They are not a stiff leather upper, but are instead the flimsy fold-over plastic-y material that cheap knock-offs are made of. They have a very slippery sole (not good for the NE) and their cushion is the prickly sandal bottom Adidas sported in their sandals a few years back. Also, the only part of the boot that holds its shape is the area around the foot which is so stiff it rubs your feet immediately into blisters. I sent them back as soon as I tried them on. Did anyone else spring for these boots? If so, leave your thoughts below. This review is exactly the reason why I rarely spend anything on cheaply made clothes, it's just not worth it in the long run. I'd rather have fewer quality pieces than a lot of trendy-but-poorly-made pieces. Shrug. I just had to respond...cheaply made clothes come at any price tag. As someone who worked for one of the most expensive and coveted stores that almost every woman is obsessed with...(I won't name names), I know that you can still pay a fortune and get something that's cheaply made. I just think you never know what you are getting and you have to do your research. Keep up the good work- I love your site! Oh no! That makes me sad. 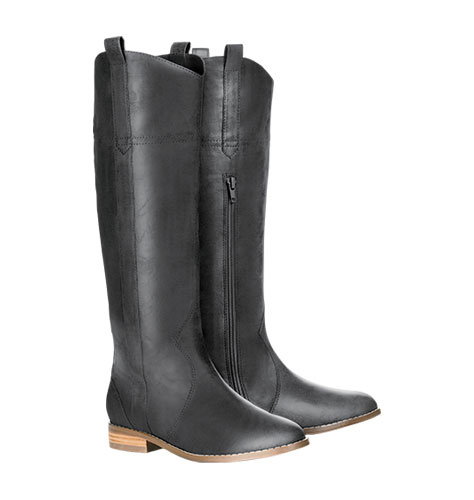 I ordered these (they are still enroute) as I've been searching for boots like these for a long time. I'll admit I had my doubts but figured I'd return them if they were bad. Bummer!